Some airlines are serving pretzels instead of peanuts. Schools designate special tables for children who can’t touch a PB&J sandwich. We have entire clinics dedicated to children with food allergies. Are we going overboard? No. We’re doing our best to manage something the CDC calls a growing public health concern. Although food allergies tend to be over-diagnosed, about 5 percent of children have true allergies to foods, and a severe allergic reaction can be deadly. Food allergies happen when the immune system thinks a particular food is threatening. It produces a response similar to what it would if it were fighting off a nasty germ. The result can be severe, even life-threatening. Ninety percent of all allergic reactions come back to just eight kinds of food. Eight! Milk, eggs, fish, shellfish, wheat, soy, peanuts and tree nuts. At least half of the children who develop a food allergy during the first year of life outgrow it by 2 or 3 years of age. Some food reactions, such as to milk, are more commonly outgrown than others. Less than 1% of infants with cow’s milk allergy develop a lifelong allergy to milk. Allergies to peanuts, tree nuts, and shellfish (shrimp, crab and lobster) often persist for life. Did you know children in Israel have a much lower incidence of peanut allergy than children in the US? Researchers attribute the difference to a snack food, Bamba. It’s kind of like a peanut butter version of a cheese puff. Children in Israel eat these snacks from the time they’re babies, offering them early exposure to a common allergen. It appears that early exposure helps their immune systems recognize the food and trains the system not to overreact. The American Academy of Pediatrics recommends early exposure as the best prevention strategy available. 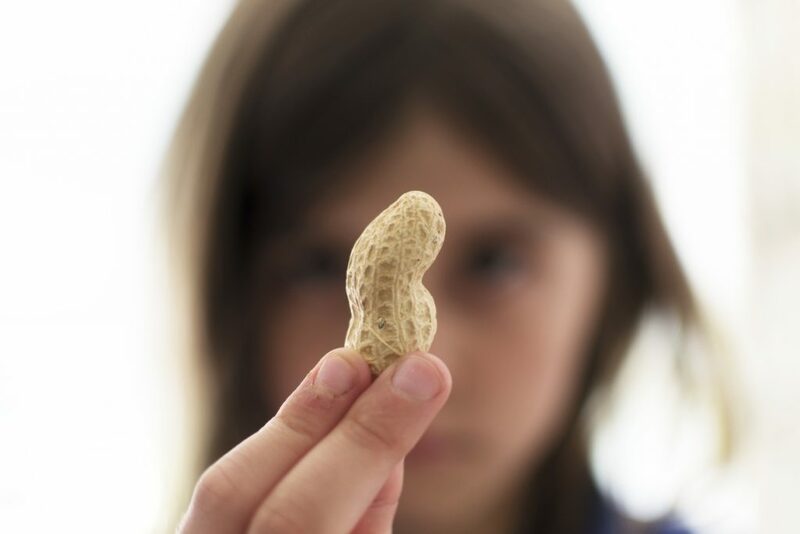 Talk to your pediatrician about when and how to start introducing peanuts and other common allergens. While not all reactions are severe, even minor responses are worth a call to the pediatrician. Call 911 if your child shows sudden or severe symptoms or appears to have difficulty breathing. Once you know your child has a food allergy, the only way to truly treat it is strict avoidance. Make sure she has no exposure to the allergen, and empower your child to protect herself. Teach her how to read food labels and share her allergy with anyone who might be preparing her food, whether that’s at school or a friend’s house. And know what to do if she accidentally ingests the allergen. 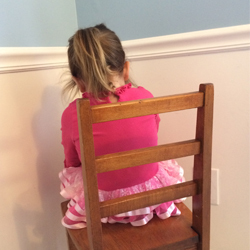 Always have medication (like an EpiPen) readily available, and teach her to know when to call for help. 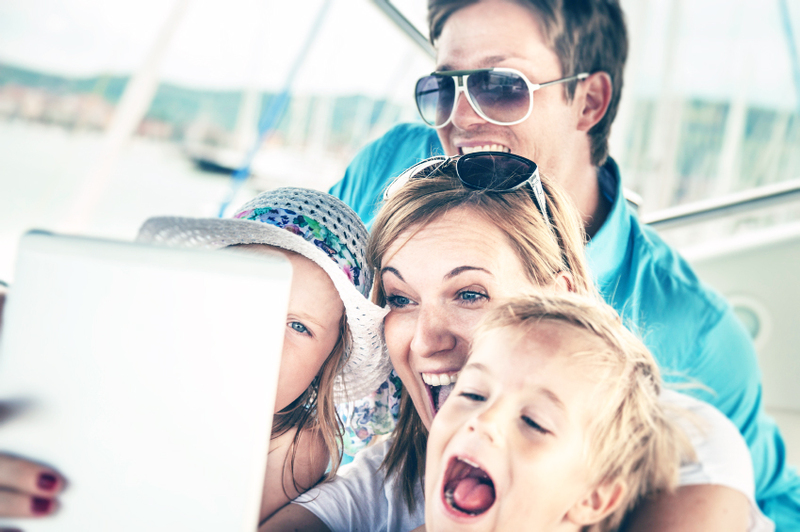 Develop a food allergy action plan you can share with your child’s school or camp. Connect with anyone who will be caring for your child for extended periods of time to ensure they are informed. With proper avoidance, your child can manage even the most severe allergy and live a perfectly normal and healthy life. Provide substitutes for any missing vitamins or minerals. This is especially important if a major food group (such as milk products) is eliminated, which will lead to calcium and vitamin D deficiency unless appropriate supplements are given. And, yes, it is possible that your child might outgrow the allergy. 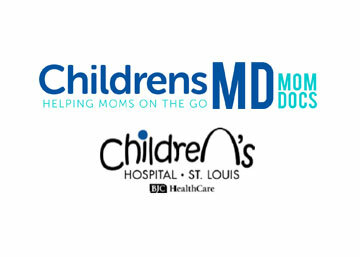 At St. Louis Children’s Hospital, we offer food allergy challenges, where we offer your child small amounts of the allergen over the course of the day in a medically supervised environment. Talk to your pediatrician about whether this option is right for your child. BUT DON’T EVER ATTEMPT A FOOD ALLERGY CHALLENGE AT HOME.